Is major survey of conceptual art pioneer Hassan Sharif heading to New York's Guggenheim? A survey of the late Emirati artist Hassan Sharif could go on show at the Guggenheim Museum in New York. Zaki Nusseibeh, the minister of state of the United Arab Emirates (UAE), speaking at an event organised by the fair Art Dubai at London’s Royal Academy of Arts on 23 July, said that the exhibition would open at the museum in 2020. According to a spokesperson for the museum, “the exhibition is under consideration by the Guggenheim but there is no specific date assigned yet”. The lecture UAE: Past, Present, Future—a one-off event organised as part of the Emirati fair’s talks programme, the Global Art Forum—looked at the rapid development of the country since its founding in 1971. 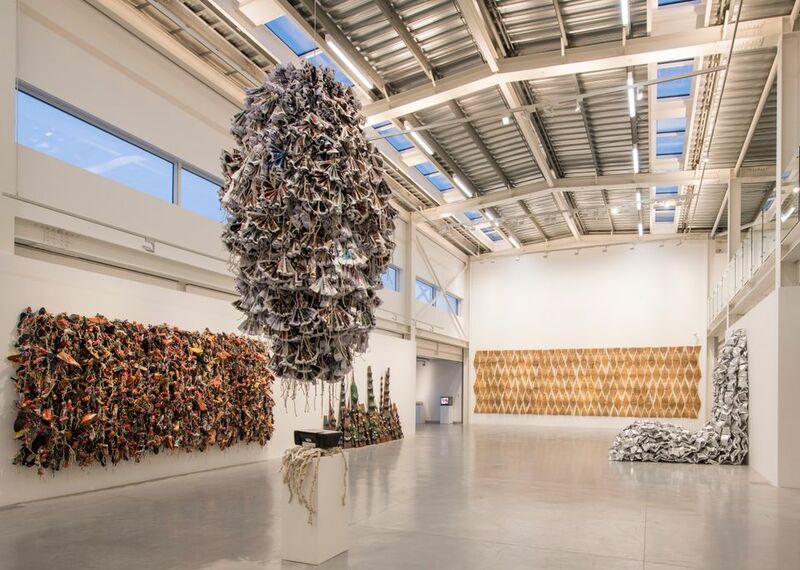 Nusseibeh used the show, travelling from its first iteration in the emirate of Sharjah to a major museum in New York, as an example of how far arts and culture in the UAE had developed in the past four decades. Sharif, dubbed the godfather of conceptual art in the Gulf states, died in September 2016 and his entire studio was donated to the Sharjah Art Foundation (SAF). The foundation opened its enormous show of Sharif’s work, entitled I Am the Single Work, in November 2017. The exhibition included many large-scale installations as well as drawings, paintings and photography alongside the artist’s working materials, documents and unfinished works. In March this year The Art Newspaper broke the news that a version of the exhibition would travel to Italy and Germany. The show at the Castello di Rivoli Museum of Contemporary Art, near Turin, will open in autumn 2019 before travelling to the KW Institute for Contemporary Art in Berlin in February 2020. “The [Sharjah] show was ginormous—with around 360 works—because we wanted to make that impact locally, but the touring show will have around 100 works,” said Hoor Al Qasimi, the foundation’s president and director, adding at the time that they were “receiving even more interest from other institutions”.